Less than nine hours to go! 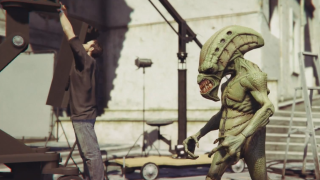 While you wait for GTA 5 PC to unlock, you can get a look at the new PC exclusive video editor. Rockstar's latest trailer shows what's possible with the tool, and the brand new 'Director Mode'. Want to know more? Shaun tried the editor during his recent hands-on session with GTA 5 PC—calling it this version's killer feature. Meanwhile, Sam spoke to Rockstar, and asked them to detail how the editor has been improved since GTA IV.